Professor in Computer Science at the Ensimag software engineering school of Grenoble Institute of Technology (Grenoble INP). Vice-president of Technology Transfer at Grenoble INP. Deputy Director of the Laboratory of Informatics of Grenoble (LIG, UMR 5217). Vice chair of the IFIP Working group 2.7/13.4 about User Interfaces Engineering. Expert in Engineering Human Computer Interaction. PhD in Computer Science, University of Grenoble (1995-1998). 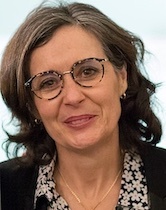 Associate professor, University of Grenoble (1999-2009). Professor, Grenoble Institute of Technology since 2009.